We are engaged in offering Header Machines to our clients. These are widely appreciated by our customers, which are situated all round the nation. Known for its best quality, it can be available at industry leading prices from us. These are designed by using quality assured components sourced from reliable of the industry. is a professional manufacturer of comprehensive range of DTH Hammer, DTH Bit, Drill Rig manufacturer. The products made by HJG are being used in China and exported to more than 50 countries including America, France, Australia, Canada, Brazil, South Africa, Malaysian, South Korea etc. Om Shanti Infrastructure Pvt Ltd.
Loader Gear Boxes Are Provided With Modi Ed Seal Design. Spiral Pick Lacing Is Adopted For Cutter Heads. 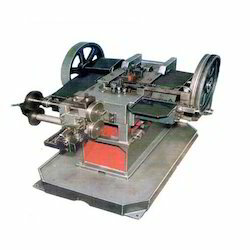 - Loader gear boxes are provided with modi ed seal design. - Spiral pick lacing is adopted for cutter heads. - Road Header is used generally for forming Roadways for Long wall mining. - Making Tunnels through hills for Railways and Roadways. - For production purpose in underground mines for various minerals. We are providing an inclusive variety of Header Machine.